This is an all-too-familiar scenario in many families as more and more grandparents assume active roles in the rearing of their grandchildren. It is a reality today that 70 percent of families are classified as dual income, with both parents working. In addition, 40 percent of the remaining families are headed up by single parents. As a result, many parents simply do not have the time to fulfill their roles as the first and primary faith providers for their children. Consequently, the spiritual needs of the children may suffer. And many grandparents are faced with the challenge of determining what they can or should do to ensure that their grandchildren are receiving the necessary spiritual training—without creating an issue or overstepping the grandparent role. I have some ideas about this. Note that the bishops emphasize that faith formation of youth is a shared responsibility for the family and the family is the foundation for the faith formation partnership. When we seniors became grandparents, we assumed the normal supporting role for our children and grandchildren. We also became, perhaps unknowingly, a vital participant in the family partnership to develop the faith life of all family members, including our grandchildren. Therefore, we grandparents do have an obligation and responsibility to participate actively in this partnership. My next question considers the specifics: what exactly are the roles and responsibilities of grandparents? Nobody ever sat my wife and me down when we became grandparents and explained our roles and responsibilities. We just assumed the role. So I researched the topic to find if there was any consensus on the roles and responsibilities of grandparents. You can Google the topic and find dozens of summaries. One of the best was a listing written by Kelli DiDomenico, vice president of parent relations for The Children’s Workshop in Rhode Island. Following is her list. Role model and hero: Every child needs a hero. In many families the grandfather or grandmother is elevated in stature—more so sometimes than the parents. The process of living together as a family provides the children with firsthand awareness of the good and bad traits of their parents, things which the grandkids don’t see in their grandparents. Many a young parent has said, tongue in cheek, that they were amazed at how much their parents had learned and matured after they, the son or daughter, became an adult and parent. The role model and hero image is proudly worn by many grandparents. Family historian: A natural role for grandparents is to become the official historian for the family. Grandparents have lived through the history of the family and understand the genealogy, relationships, family traditions, secrets and significant family events from decades past. The grandparent’s responsibility is to pass along the family history, lore and legend while it is still vivid in their memories. Today we can use technology to better capture and retain the exciting, interesting memories that captivate the minds and hearts of all family members. Friend and confidante: We grandparents rarely say “no” to anything our grandchildren ask for, so we may tend to be perceived as “easy marks” by our grandkids. And we are not normally responsible for the discipline of our grandchildren so we are able to become engaged in positive, enjoyable activities that develop closer bonds and memories. Also, most grandparents have more spare time to devote to their grandchildren. Those who have aged well can maintain energy and enthusiasm to keep up with the active demands of the grandkids. This provides a great opportunity to become very close to the grandchildren. Teacher and mentor: We grandparents have the precious gift of wisdom that allows us to receive a measure of respect and admiration from our grandchildren. 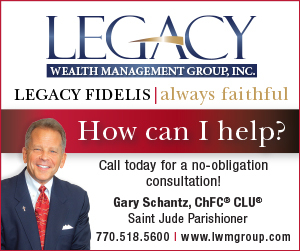 We are often called upon to provide advice and counsel on family and personal matters. We delight in sharing our experience and wisdom with a captive audience. Just about everyone can recall certain special and happy teaching moments with their grandparents. Parental and financial backstop: In many families the grandparents provide a backstop for working or single parents by caring for the grandchildren full or part-time. It’s a sign of the times that the majority of today’s parents are preoccupied with careers and other activities that prevent them from spending more quality time with their children. The grandparent involvement is becoming an integral part of today’s family culture. In addition, many grandparents may have more financial resources than their children and can be a source of financial support if and when needed. Spiritual monitor: In the heart of grandparent responsibilities is the role of spiritual monitor, teacher, advisor, guardian, faith repository, prayer warrior and spiritual beacon for the entire extended family. Ideally, the grandparents are the spiritual role models for their children and grandchildren. The first and primary responsibility for religious education belongs to the parents, and by default the family, including and especially the grandparents who can provide a unique faith perspective for the entire family. If your children and grandchildren are being brought up in a strong Catholic tradition, congratulations. You have done a good job of parenting your children, who in turn are passing along the tradition to your grandchildren. Back to the original question—what should a grandparent do if their grandchildren are not receiving the necessary level of religious education? First, you have an obligation to raise the issue with your son or daughter. Attempt to find out why. Don’t threaten or demand. Simply ask what you can do to assist the parent in fulfilling this vital role. The parents cannot delegate or abdicate this responsibility. Your role should be that of a catalyst to motivate the parents and to offer practical assistance; for instance, to ferry the children to religious education classes in the parish when the parents are not able and then on the way home to discuss and reinforce what they learned in class. If the parent realizes the need and is willing to partner with the grandparents to intercede, the grandparents can assume a more active role in supporting the parents. If the parents are reluctant to change or suggest that you back off, then you need to do everything possible to influence the religious formation of the grandchildren during the times when you are together and also to be the ongoing, visible spiritual role model. Remember that we grandparents have a unique and powerful relationship with our grandchildren. They will listen and learn from us. In particular, they will observe our level of spirituality and begin to emulate what we do, whether it is a night prayer or grace before a meal or attending Sunday Mass when the parents are out of town. Lastly, if you have limited access to your grandchildren because of disagreements about religious education or other personal issues, you can still pray for a change of heart. If you remain strong in your faith, you will serve as a beautiful role model for your children and grandchildren. After all, “the overriding goal for all (grandparents) should be to lay the groundwork for our offspring to get to heaven,” said Bob Zyskowski, (now retired) communications officer for the Archdiocese of St. Paul and Minneapolis, Minnesota. “This is the only thing that matters in life and should affect all of our actions,” he said. Bill Clarke, former business executive, teacher and senior citizen, emerged from his third retirement to serve as the associate director of professional development for the archdiocesan Office of Formation and Discipleship. To send Bill your thoughts on his and other topics, send an email to wclarke@archatl.com.